Happy October 2018! It’s Pumpkin Time! Last Summer Harvests, Seed Processing, Glorious Fall Planting! 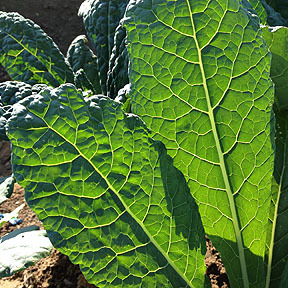 Brassicas are the SoCal winter veg garden winners! If you don’t have marauding birds, presprouting your seed peas makes sense! If you do have birds, cover them with aviary wire soon as you put them in the ground. PreSprouting peas is super simple. Paper towel on plate, lay out peas an inch apart, fold the paper towel over them, spritz with clean water, keep them moist. By +/- 5 days they will have sprouted, some more than others! Carefully put them in the ground so you don’t break the little roots. Presprouting assures no spots will be empty where a seed didn’t come up and you lose production! See more! As with any seeds, a couple days before planting put down organic slug/snail bait and remove any overnight marauders that would feast on your tiny new plants. 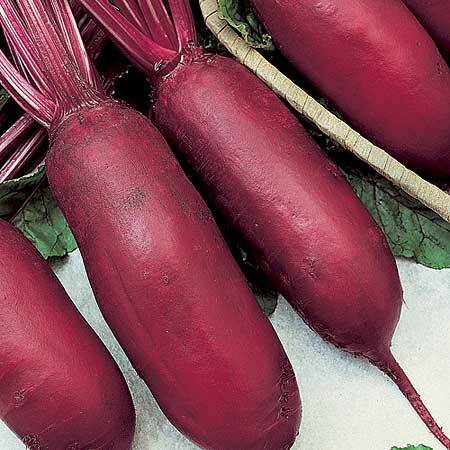 Perfect timing for tasty root crops – beets, turnips, rutabagas, daikon radish. Beets are a double winner because the roots and the leaves are edible! Pick leaves from time to time. When your beets are the size you want, pull them and eat all the leaves and the beets as well! Winter is growing time for long Daikon Radish. And Carrots. Carrots are a dense root, so they take awhile. Plant short varieties like Thumbelina and Little Fingers for sooner eating. Kids love them! At the same time plant longer varieties to eat when the Little Fingers are done. Or plant successively, every 2 weeks, once a month per your needs. The longer the carrot, the longer it takes to grow. Look at the seed pack to see how many days it takes to maturity. Of course, you can pull them sooner and smaller. 🙂 Avoid manuring where you know you will be planting carrots – makes them hairy. Steady water supply and not too much or they split. You might enjoy some of the mixed color packs – Circus Circus, Sunshine, Cosmic Purple! Peas and green manure mixes – legumes and oats, feed and replenish your soil because they take N (Nitrogen) out of the air and deposit it in little nodules on their roots! If an area in your garden needs a pep up, plant it to green manure. Broadcast a seed mix of legumes and oats and let them grow. Bell beans, Austrian peas, vetch and oats from Island Seed & Feed Goleta is an excellent choice. Be sure to get the inoculant they recommend to use. The first three deposit N; the oats have deep roots that bring nutrients up and create soil channels for oxygen, water and soil organisms! Plant it where next summer’s heavy feeders, like tomatoes, will be grown! If you are planning for mid January bareroot strawberry planting, be preparing your strawberry patch now if you are planting green manure! The green manure mix I use takes 2+ months to grow. I chop it down when the bell beans flower. Chop it into bits, add acidic (azalea/camellia) compost, worm castings and turn it all under. It takes two to three weeks to decompose, let the soil organisms restabilize, and be ready to plant. That puts us right at mid January when the bareroots arrive! About Dec 1 chop down/mow, chop up your living mulch and let it lay on the surface two weeks. If Bell beans are in the mix, chop when it flowers or the stalks will get too tough to easily chop into small pieces. Keep your chopped mulch moist, not wet, until it is tilled in. Being moist aids decomposition. OR. Strawberry runner daughters can be clipped Oct 10 to 15, stored in the fridge for planting Nov 5ish. Remove any diseased soil where your beds will be; prep your beds with acidic compost like an Azalea mix. Commercial growers replace their plants every year. Some gardeners let them have two years but production tapers off a lot the second year. If you let them have two years, generously replenish the soil between the berries with acidic compost. I lay down boards between the rows where my berries will be planted. The boards keep the soil moist underneath. I planted the berries just far enough apart that they self mulched (shaded the soil) when they grew up a bit. Worked beautifully. I got the idea for the boards from a pallet gardener. Santa Barbara’s Seed Swap is January 26! The last Saturday of January every year is National Seed Swap Day! Look in your area for an event, and if you don’t find one, collaborate with your local garden club or permaculture group to get one going! Please enjoy these September images at two of Santa Barbara’s community gardens, Pilgrim Terrace and Rancheria! And a special album by Rancheria gardener Judith Mingram! I’ve titled it: From Weed Patch to Wonderful, one woman’s community garden plot transformation – no more gophers! Check out the entire October Newsletter! OCTOBER 2018 ~ Last Summer Harvests, Seed Processing, Glorious Fall Planting! Chard! An Elegant, Colorful, Nutritious Pleasure! Upcoming Gardener Events! Mesa Harmony Talk & Crop Swap! Lane Farms Pumpkin Patch, Quail Springs Permaculture Course, not to miss January Santa Barbara Seed Swap! September – Last of Summer Harvests, SeedSaving, 1st Fall Plantings! Last Harvests are being collected and stored, seeds saved! Some of you have started seedling nurseries or starts at home, many of you have prepped your soil! If you haven’t yet, make your fall planting beds extra yummy – add 5-10% compost, 25% worm castings – seeds germinate better and do especially better with worm castings! Manure amounts depend on the type of manure and which plant you will be using it with. Rabbit poop manure can be used immediately with no composting! We want rich soil for those big winter plants. We want lots of those marvelous leaves for greens. Winter plants like brocs, collards, cauliflower, chard, are heavy producers, need plenty of food. BUT NOT CARROTS! Too good a soil makes them hairy and they fork. And over watering, irregular watering, can make them split. Build your beds up so they drain well, are above the coldest air that settles low down. PEAS, the winter legume, make their own Nitrogen, so feed only lightly if at all. Some of you carry your layout plan in your head, others draw and redraw, moving things around until it settles and feels right. Do add a couple new things just for fun! Try another direction. Add some herbs or different edible flowers. Leave a little open space for surprises! Stand back, take a deep breath and ask yourself why you plant what you plant and why you plant the way you do. Anything been tickling the back of your mind you are curious about? More about Designing Your SoCal Winter Veggie Garden! You can plant it with green manure. Laying on lots of mulch is a ton of work when you do it, just gathering the materials can be a challenge. Green manure takes some work too, but it has awesome results as well. You broadcast a seed mix of legumes and oats and let them grow. Bell beans, Austrian peas, vetch and oats from Island Seed & Feed in Goleta is an excellent choice. Legumes gather Nitrogen from the air and store it in nodules on their roots! N is the main ingredient your plants need for their growth! The oat roots break up the soil. They dig deep and open channels for water and air flow, soil organisms. It’s Brassica time! They are the mainstay of winter gardens! Their nutrition can’t be beat! Kale’s the Queen! Broccoli, Brussels sprouts, Cabbages, Cauliflower and Collard greens! Then there are all the mini Brassicas, the fillers and littles – arugula, bok choy, mizuna, kohlrabi, mustards, radish, turnips. Rather than plant just six packs of transplants, put in seed at the same time when possible and stagger your plantings of the large Brassicas. Rather than all six cauliflower coming in at once, plant two now, two later and so on. Adjust that, of course, if you have a large area available to plant and a lot of people to feed! Another way to do it is to get varieties with early, middle and late maturity dates and plant them all at once! Plant both mini and monster cabbages at the same time! Minis come in sooner, monsters later! Successive plantings mean a steady table supply. Finicky eaters may enjoy a selection! Fall veggies come in lots of shapes and colors! Kales are renowned for their beauty and varieties – classic curly leaf, flat leaf like in the image (less aphids), Red Russian, Elephant, Red Bor that is really purple are just a few! Cauliflower comes in traditional shape and spiral, classic white and yellow and purple and green! Get seed packs of them all and mix them together! Carrots already come in color mix seed packets! Circus Circus is a fun choice, especially when your kids are planting! Thumbelinas are faster for kids. Beets are terrific fun! Yellows, reds, pinks, whites and Chioggias (concentric circles of colors)! 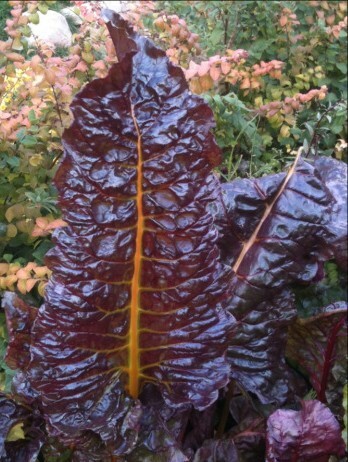 You can get them in rainbow mixes just like getting rainbow chard mixes! Rather than have your finicky eater say no, open up that catalog or take them shopping a the nursery and let them pick what they would like to try! Non Brassica ‘littles,’ understory veggies that love cooler weather, are beets, carrots, celery, chard, cilantro, leeks, spinach and especially lettuce – now is the time for tender butter leafs and heading lettuce! If you anticipate a hot Sep, plant more heat tolerant lettuces. The winter legume is PEAS! Peas are like beans, they come in bush and pole types. And those come in three main types – shelling, eat-them-whole snap peas and flat China/snow peas! They are super easy to sprout! Dampen the paper towel; spray the towel to keep it moist. Depending on temps it takes 2, 3 days. Pop them into the garden by the trellis – if it is hot, devise some shade for them. You just need to be careful as you plant them so you don’t break the sprout off. Definitely plant some every month or so. They don’t live all season long. When they are done, they’re done. It is true that picking peas, just like picking beans, is labor intensive. I eat a lot of mine before they get home, so I don’t mind. Bush peas come in first and pretty much all at once; pole come on later and continue to produce. On the first round it makes sense to plant both at once! TIP: if your soil has never grown peas before, get an inoculant when you get your seeds, follow the instructions. OR if you don’t have time to do seeds, just get six packs at the nursery! Transplants are always stronger than tiny seedlings. But do cover your plants if they show signs of being pecked by birds! The evidence is little V shaped nibbles on the leaves. No need to plant patches or rows of smaller plants, unless you want to. Scatter them about on the sunny side between larger plants as an understory! Plant different varieties to keep your table exciting. Don’t plant them all at once, but rather successively, every week or two for steady table supply. If you would enjoy a quick payback for your table, select the earliest maturing varieties. If you have lots of seeds, over planting is an age old practice. Plant too, too many, then thin them with tiny pointy scissors, aka harvest the young, and eat ’em! Young radish sprouts, teeny carrots, little Brassicas of all kinds are wonderful in a salad! Your dog might love those teeny carrots! If they get a little big, steam them or add to stir fries and stews. Another way to do it is plant flats of lettuces, Mesclun mixes, and mow them! Tender baby greens! They will grow back 3, 4 times. When planting in hot fall weather, plant your outdoor seeds a tad deeper than you would in spring; soil is moister and cooler an extra inch or two down. It’s the law to keep them moist. If you plant successively for steady fresh table supply, plant a batch in September, again in October. Days will shorten and start cooling, but you are taking advantage of a fast start because your plants will grow quickly in the warmer weather now than later on. Sep plant from seeds & transplants if you can get them, Oct from transplants. Oct 1 plant your living mulch/cover crop – put this on your garden calendar! Bell beans take that long if they are in the mix or are your choice. About Dec 1 chop down/mow, chop up your living mulch and let it lay on the surface. Studies show there is more nutrition if it is let to lay. Keep your chopped mulch moist, not wet, until it is tilled in. Being moist aids decomposition. 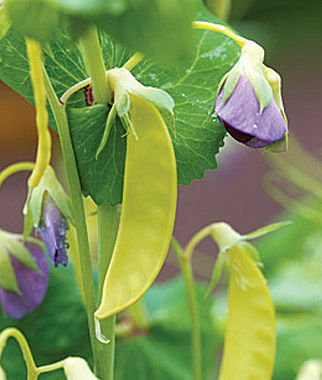 If Bell beans are in the mix, chop when it flowers or the stalks will get too tough to easily chop into small pieces. Mid Dec till in your living mulch for mid January bareroot planting. The little white balls on the roots are like a beautiful little string of pearls. Those are the Nitrogen nodules legume plants make! For strawberries, or other acid soil loving plants, add acidic compost at the same time. If your soil needs it, add some coir for water holding capacity. If you replace your strawberries, in Santa Barbara area try Seascape, bred locally at UCSB. Seascapes are big fill-your-palm plentiful berries, firm, tasty, strawberry spot resistant! They have long roots that gather plenty of nutrition and stay moist at deeper levels. Available at Terra Sol Garden Center – call ahead to get the date they arrive – they go fast and then they are gone! Pest and Disease Prevention Drench young plants, ones you just transplanted, with Aspirin solution to get them off to a great start! Drench your seedlings when they get up a few inches. One regular Aspirin, 1/4 C nonfat powdered milk, 1/2 teaspoon liquid dish soap (surfactant), per gallon of water. Aspirin triggers a defense response and stimulates growth! Powdered milk is a natural germicide and boosts the immune system. Be sure to get the under sides of the leaves too! Brassica pests! Lots of ants and lengthwise curling leaves are the giveaways for aphids. Aphids carry viruses. Aphids come in fat gray, eency light green or small black. Avoid over watering that makes for soft plants, tender leaves that aphids thrive on, and ant habitat. Spray the aphids away, make the ants leave. Get up under those leaves, and fervently but carefully do the tender growth tips. Do it consistently until they don’t come back. Cinnamon is amazing. Ants don’t like it at all, and when you are starting seedlings it prevents molds and damping off. Sprinkle it on the soil in your six pack. In Santa Barbara area get it in big containers at Smart and Final. Reapply as needed. September is still Seed Saving time for some. Make notes on how your plants did, which varieties were the most successful. These seeds are adapted to you and your locality. Each year keep your best! Store your keepers in a cool dry place for next year’s plantings. 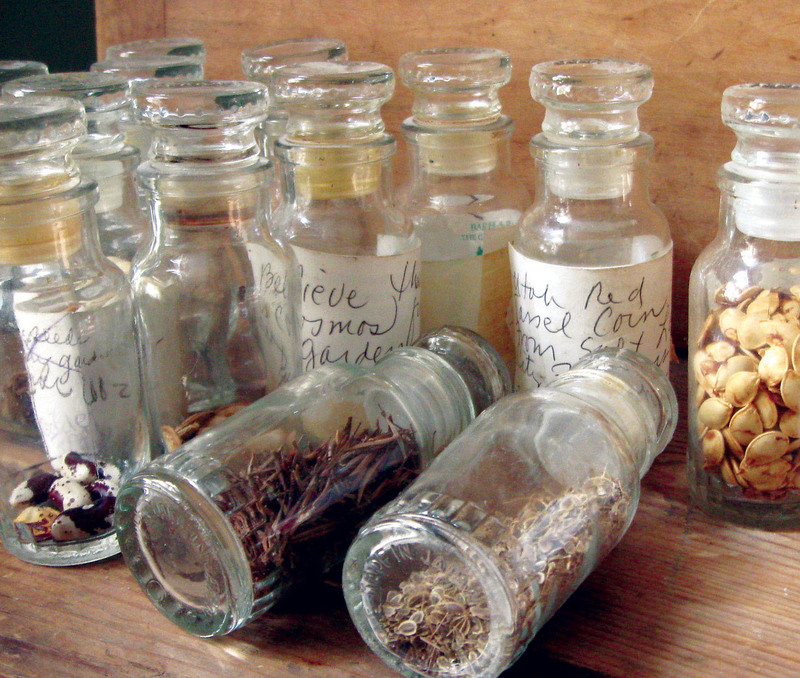 Generously gather seeds for upcoming January Seed Swaps! If your area doesn’t have a seed swap, please!, start organizing one! Borage is a beautiful cool season plant with edible star shaped flowers, blue for bees! It has a large 3 to 4′ footprint, so allow for that or plan to keep clipping it back. What flower colours do birds and bees prefer? This is a terrific time to put up a Greenhouse! You can start more seedlings, overwinter sensitive plants – eat tomatoes in December! The right size, easy-to-maintain greenhouse may be perfect for you! Have fun! September gardens are a magical time of creativity and seasonal transition! Please enjoy these August images at two of Santa Barbara’s community gardens, Pilgrim Terrace and Rancheria! The emphasis is on SeedSaving! Check out the entire September Newsletter! SEPTEMBER 2018 ~ Last of Summer Harvests, SeedSaving, 1st Fall Plantings! Super SoCal Fall, Winter Veggies Varieties, Smart Companion Plantings! Smart Garden Design Leads to Excellent Plant & Seed Selection!Upcoming Gardener Events! Mesa Harmony Crop Swap! National Heirloom Expo, Soil Not Oil, American Community Gardening Assn 39th Annual Conference! SoCal September: Harvest, Seed Saving, Soil Prep! Love your Mother! Plant more bee food! Eat less meat. Grow organic! We have been having a bit of an extended heatwave along with the drought, so things are different this September. Even the nurseries are affected. Island Seed and Feed – They grow their own, but too hot, need cool nights. Not even planting this month. Will start early October. So the answer is, plant your own from seed, but not quite yet! Gardeners planting from seed now are reporting good germination, but the seedlings are dying from the heat, shaded or not. Gardeners are clearing their summer plants that are finished, and instead of planting, are doing soil prep and mulching deeply to protect the new soil beds. And it’s still way too hot to plant green manure mixes. Tomatoes are doing well, but even they aren’t flowering or keeping their fruit in these hot temps. Eggplants are sporting some great purple fruits! Some bush beans are thriving. My Rattlesnake pole beans are doing as they are supposed to, making beans in up to 100 degree weather. I’m saving a lot of their seeds, so if you would like a few, come to the Jan 31, 2016 Seed Swap! It’s time to get heat and drought tolerant seeds and plants like from Florida, Texas and other southern states! Labor Day Weekend fall planting may be doable in your location! That, in the past, has been a favored planting time, with the weather cooling as it gets on into September. For those of us in hotter SoCal areas, you may try planting another round of summer plants. But, it’s weird. Plants started late summer often just don’t thrive, nothing like as they do planted in Spring days getting longer and warmer! I think late plantings get confused. Even though it is hot, the days are getting shorter. Scrambles their circuits. The soil is somewhat spent from heavy summer use, and amendments added to hot dryish soil don’t seem as helpful. This is a time when gardeners who have somewhat shaded gardens might do better than usual and better than others in full sun! With this hot weather planting beans and tomatoes will still be ok. That’s about it. If you could find lettuce transplants, some would do well. One that did really well for me in this summer’s heat was the Nevada – a Green Crisp/Batavian! It grew BIG, didn’t bolt, and was totally crispy! Check out this page at Johnny’s Seeds! If you didn’t order this fall’s seeds last winter, or you want to try some new ones that nurseries don’t stock, rummage around online and see what you can order up that they still have in stock! If you do plant fall seeds, plant them a tad deeper than you would in spring. The soil is moister and cooler an extra inch or two down. You know you have to KEEP THEM MOIST, not swimming, but moist. Water daily for sure…even twice a day on the hottest days. Plant on the sunny side of taller plants, but devise some shade for the seedlings. Immediately put down slug & snail bait. Mulch well. If it cools down later in September, it is so easy to sprout peas! Spray a paper towel to moisten it. Put the seeds on it a bit apart, fold the towel over them. Keep them moist a few days until the seeds sprout little tails! Put up your trellis, ASAP pop your sprouted seedlings into the garden early AM or evening when it is cooler. Once they get started they grow fast! If it is still hotish, devise some shade for them. Plant Sweet Peas for spicy scented Christmas bloom! Plant gift plants or bowls or baskets for the holidays! Onions For the biggest, sweetest harvests, late summer and early fall are the prime times to sow seeds of short- or intermediate-day onions. Fall-sown short- and intermediate-day onions tend to yield more and are larger and sweeter than those seeded or transplanted in early spring. Bagrada Bugs are happening now at Pilgrim Terrace. So wait until October cooler weather to plant any Brassicas. Brassicas are their favorite and it only takes minutes for them to kill a seedling. They can kill a 2′ tall plant in 2 to 3 days. Brassicas are broccoli, Brussels sprouts, cabbages, cauliflower, collards, turnip.If you don’t have Bagrada Bugs, also in later cooler days, plant sprinters – arugula, mustard, turnips, and crispy red radishes that are ready to pick in little more than a month. Pretty Asian greens, such as tatsoi or mizuna, grow so fast you will have baby plants to add to stir-fries and soups just three weeks after sowing. For a quick payback on your table, select the earliest maturing varieties available. Go ahead and plant spinach, lettuces and chard since they are not favored by the Bagrada Bugs. Pest and Disease Prevention If you are so lucky as to get in some September planting days, drench young plants, seedlings getting their 3rd and 4th leaves, and ones you just transplanted, with Aspirin solution to get them off to a great start! One regular Aspirin, 1/4 C nonfat powdered milk, 1/2 teaspoon liquid dish soap (surfactant), per gallon of water. Aspirin, triggers a defense response and stimulates growth! Powdered milk is a natural germicide and boosts their immune system. Do this on planting day or the next day! Reapply every 10 days or so, and after significant rains. Harvest reminders! In our hot foothills and further south, watch your melons, big squashes and pumpkins for their best harvest time – when their stem is brown and dry, or they ‘slip’ off the vine. Hold off irrigating melons about a week before they will ripen so their sugars will concentrate. Harvest okra while it is small and tender – bigger is NOT better! Let your winter squash harden. When you can’t push your fingernail in it, it’s ready.Keep letting your strawberry runners grow for Oct harvest. Tend your precious soil. Clear away finished summer plants. Make compost. It will finish faster in the heat. 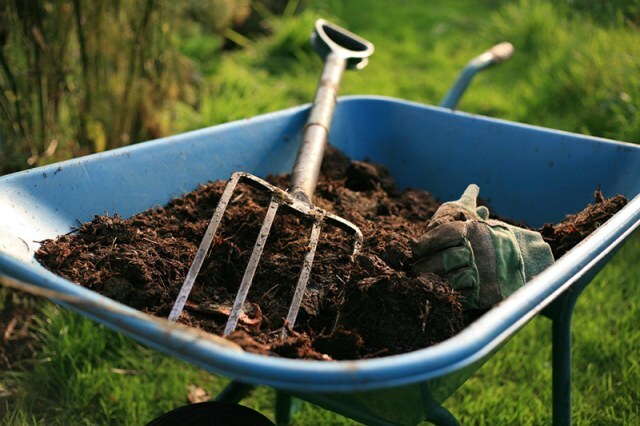 Add compost, worm castings and manure to your soil. Get the best compost you can buy if you don’t make your own. Get the ones with worm castings, mycorrhizal fungi, etc. Get manure blends to get the best results, especially mixes that include cow (not steer) manure. Big winter plants like brocs, collards, cauliflower and chard, and small plants like leaf after leaf lettuces are heavy producers, need plenty of rich soil food! The exceptions are peas and carrots. 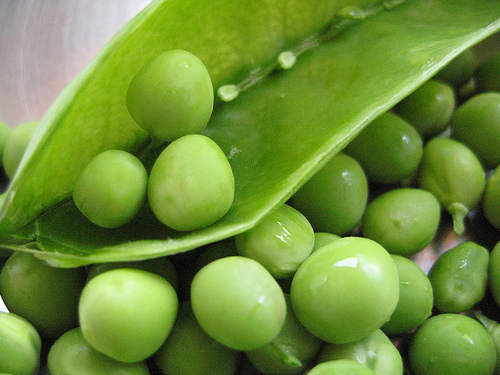 If a bed is a little tired, add some food for the peas, otherwise, they, legumes, gather their own! No manure for carrots, and give them regular watering, though not too much, to prevent them being hairy and splitting. If you don’t have Bagrada Bugs, leave your mulches down, add more if it’s thin. Mulch your new planting beds deeply, and keep your remaining summer plants well watered out to their drip line where the tiny feeder roots gather water and nutrition. If you have Bagrada Bugs, remove any habitat like mulches. Save Seeds! If plants are still going strong, let them. Let plants bolt, bloom and seed! I just gathered radish and more celery seeds. The carrots have made mega seed heads, Arugula has flowered and seeded. My basil is strong, big leaved and dark green, so I will soon let it flower and seed. If you have lettuces that have bolted, snip off the little seed heads when they are ready. See how to process tomato seeds below. Peppers are easy. Let cucumbers yellow on the vine and fully nourish the seeds before you collect and dry them. Let your biggest bean pods get fat as can be, dry on the vine, then pop them from their pods. As always, seeds are your second harvest. Make notes on how your plants did, which varieties were the most successful. These seeds are adapted to you and your locality. Each year keep your best! Store your keepers in a cool dry place for next year’s plantings. Bag or put in a snazzy little jar, with label and ribbon to give as gifts to other gardeners, at any event that makes them happy! Any extra bag up to take to the January Seed Swap! Of course, some seeds are edible! Cilantro is coriander. Fennel is good in rice dishes. Peanuts and sunflower seeds are a protein source. Roast or toast pumpkin seed snacks. Hard beans get added to soups and stews, cooked and et. Celery seed in pickling, potato salad and coleslaw. Corn for popcorn! Or, if you don’t have Bagrada Bugs, cover an area you won’t be winter planting with a good 6″ to a foot deep of mulch/straw and simply let the herds of soil organisms do their work over winter. That’s called sheet composting or composting in place – no turning or having to move it when it’s finished. If you are vermicomposting, have worms, add a few handfuls to speed up and enrich the process. Next spring you will have rich nutritious soil for no work at all! Build some lovely new raised beds. Install gopher barriers! Do a little terracing. If you are gardening at home, put in a gray water system and put in a rainwater capture system plus bioswales for water to flow from your rain gutters to water your fruit trees and veggie garden! Slow, spread, sink your water! See the entire September GBC Newsletter! Mulching – When, With What, How Much; Bagrada Bugs and Brassicas, Blossom Sustainable Community Garden Pawtucket RI, Fermentation Festival, National Heirloom Exposition in Santa Rosa CA, Seed Swap in January!